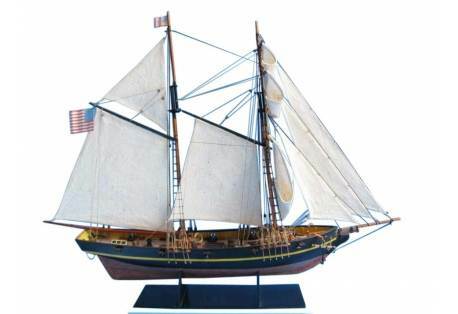 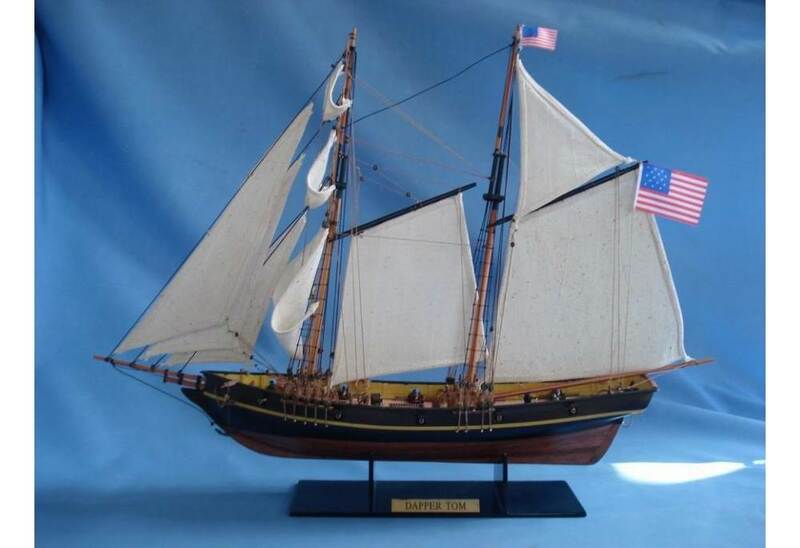 → Model Ships>Tall Ships>Dapper Tom 24"
Our ship model Dapper Tom ship model is a fully assembled ship model, never made from a kit. 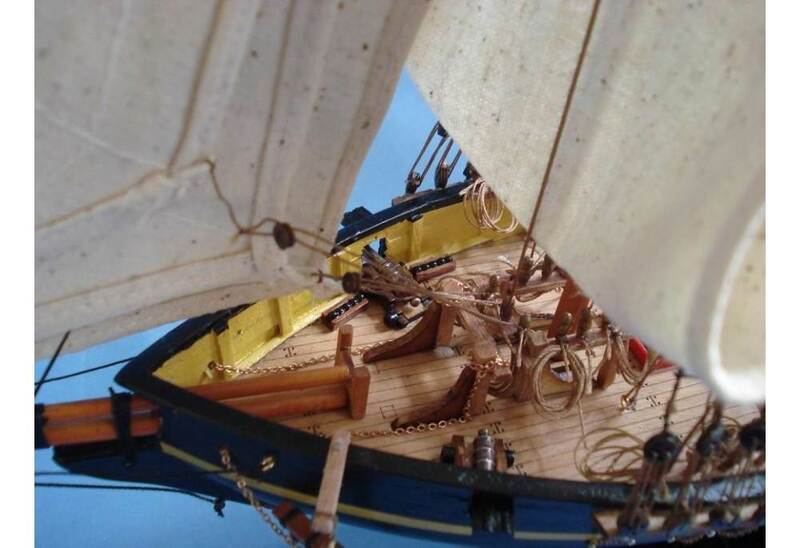 The Baltimore Privateer Topsail Schooner features a planked deck with nail holes, barrels, buckets, cannon ball racks, coiled ropes, and more! 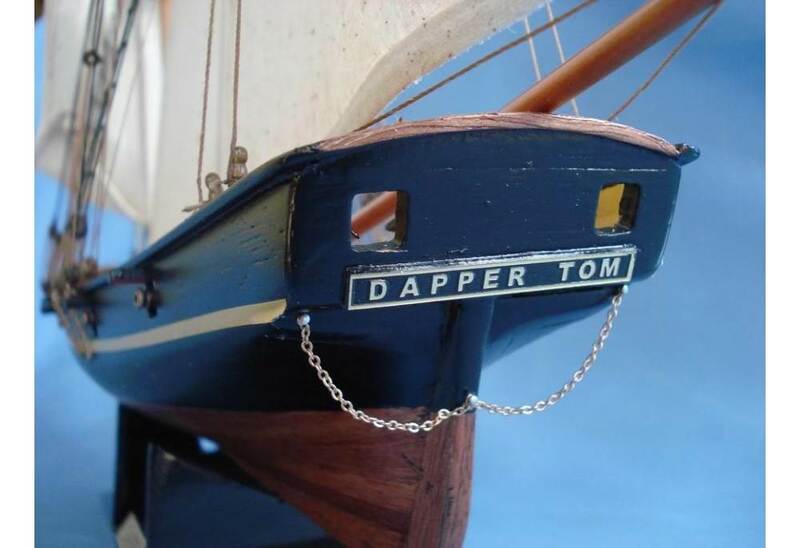 This ship model is Very carefully painted to match the real Dapper Tom. Our model ship Dapper Tom schooner replica is built will rare and high quality woods such as cherry, walnut, oak, birch, and Mable. 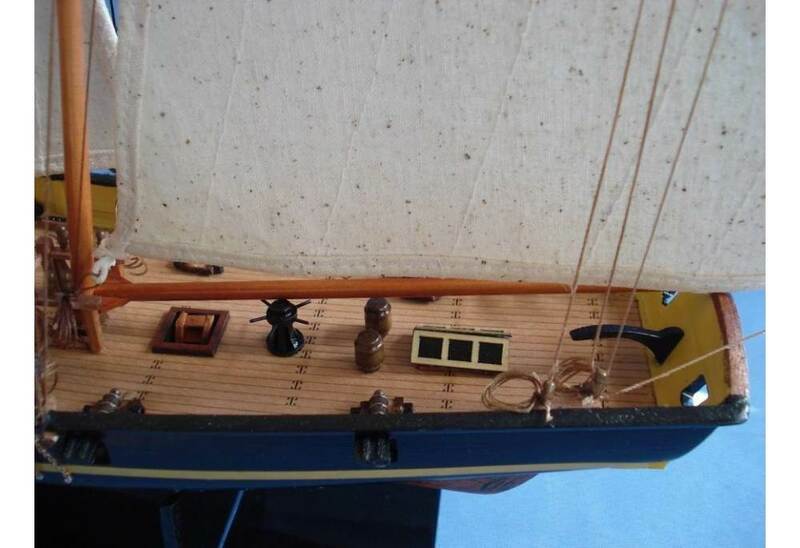 We only use the finest and highest quality parts on our ship models. 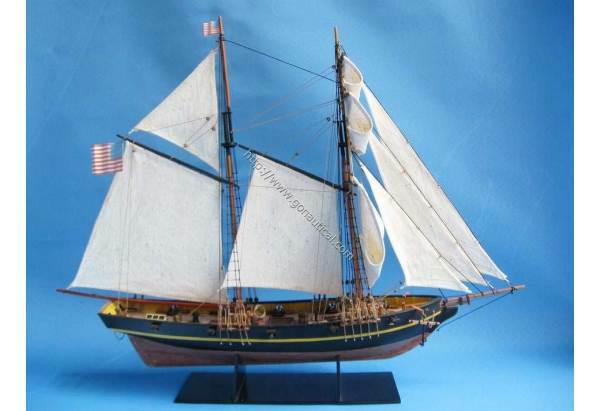 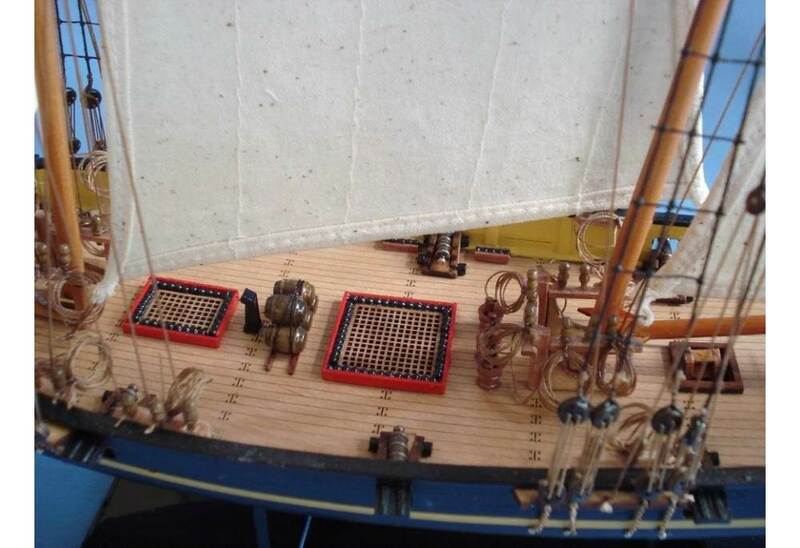 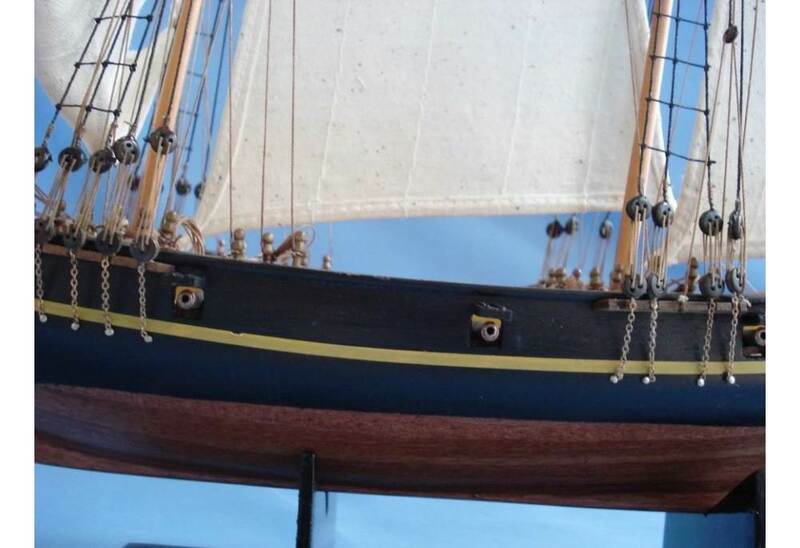 This Dapper Tom ship model has metal anchors and brass cannons. For the construction of this model, a lot of research was doing using sources such as drawings, paints, and copies of the original plans.